Sold! 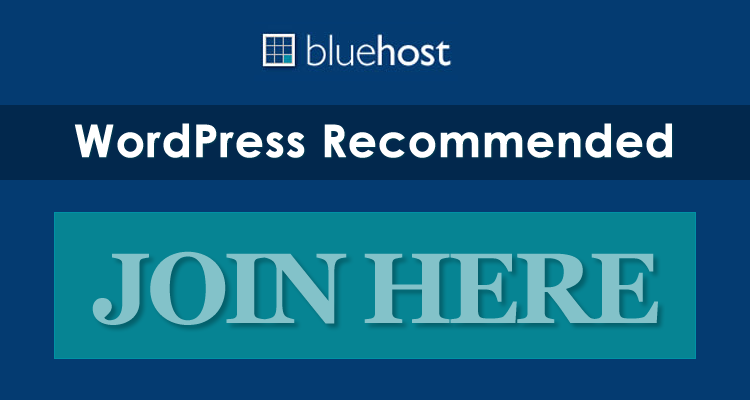 Premium WordPress Theme is an excellent mix of style and function. The clean, white space design does not distract and serves as the perfect backdrop to highlight choice merchandise. Sold has a beautiful slider where you can put your most interesting items on sale. You can even define points on the slide where you can add comments or even zoom images ala Flickr. This is perfect for highlighting detail on specific points of the product. Sold! 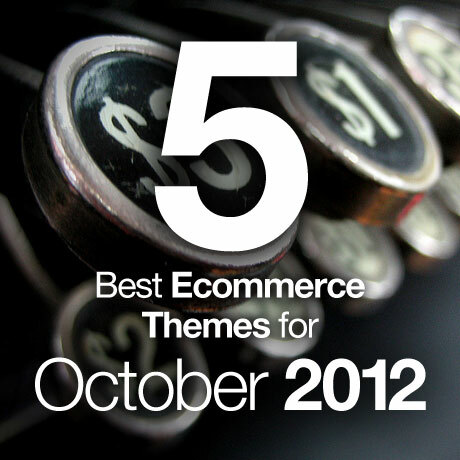 uses two of the most powerful plugins – WooCommerce and Jigoshop – making it an effective eCommerce solution. Its multi-lingual capability, responsive features and easy customizability enables your store to service both local and global market. Another interesting theme worth mentioning is Mercor. 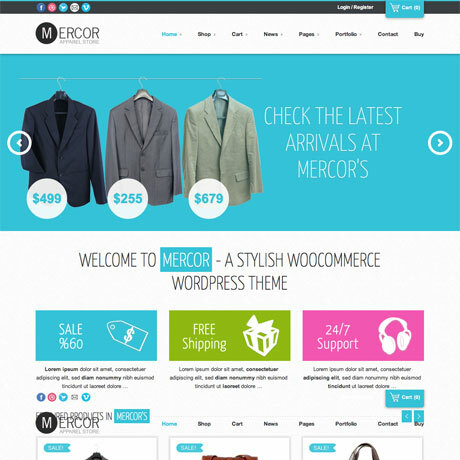 Mercor Premium WordPress Theme gives you the look and feel of a department store or supermarket weekly catalogue. This responsive theme’s clean, fresh layout and white space styling creates an uncluttered look that’s easy on the eye even if there are numerous images and texts on the page. Mercor has a dynamic Nivo homepage slider to highlight store specials or to announce store events and sales. Mercor is fully responsive and uses WooCommerce to power e-commerce transactions. This powerful feature combination makes your site current, competitive and able to address the emerging mobile shoppers market. 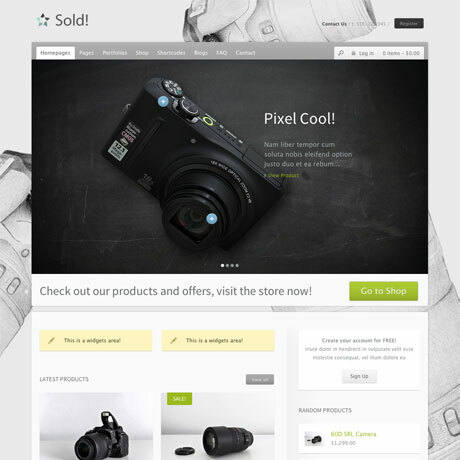 This latest eCommerce theme from CSSIgniter is bold and eye-catching. 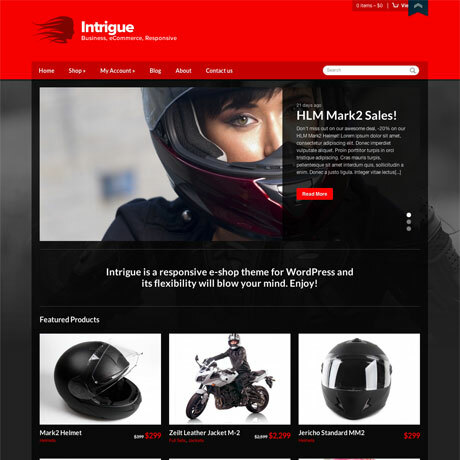 Intrigue Premium WordPress Theme is a responsive eCommerce theme that combines the power of WooCommerce and CSSIgniter’s straightforward theme design. 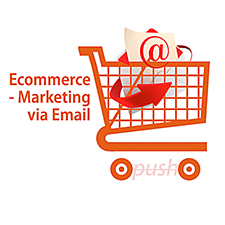 This means that setting up a powerful eCommerce site need not be a complicated and tedious task to accomplish. With Intrigue, you can use a plethora of widgets to create the functionality you require. This theme comes out of the box in a hot red and black color scheme but you can also choose from the available 7 color schemes to create the look most appropriate to your market. Intrigue Premium WordPress Theme is not over the top and includes just the right amount of features and functionalities for whatever you need. 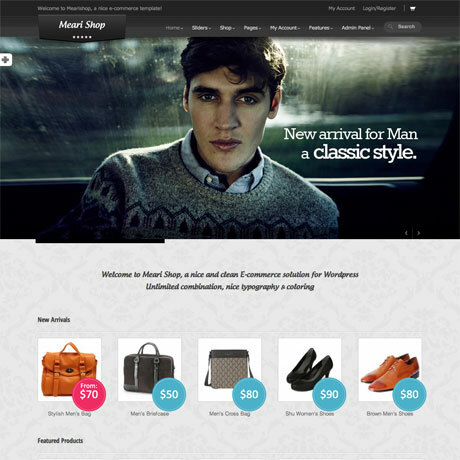 Mearishop Premium WordPress Theme is a great eCommerce solution that’s edgy and modern. The Lookbook-ish appeal makes it a perfect match for a fashion and accessories store. Customers can check out the portfolio or lookbook pages to determine the style that best suits them. Mearishop uses the powerful Hana panel combined with WooCommerce functionality to give you the power to control almost every aspect of the theme. With tons of options available, this features makes this responsive theme perfect for both WP noobs and experienced developers to use. Choose from unlimited color options, 7 backgrounds and 34 patterns to define your custom look. You can even upload your background image. With 7 sliders to choose from, Mearishop gives you the options you to reach your target market in style. Xing Premium WordPress Theme is a modern and clean theme designed to meet the eCommerce needs of both small and large scale business alike. Xing is primarily an eCommerce theme but it is also flexible enough to be used for creative portfolios or for magazine/editorial blog type websites. Xing uses several jQuery powered features like the Flexslider and the jQuery Product Carousels(for WooCommerce recent/featured products). 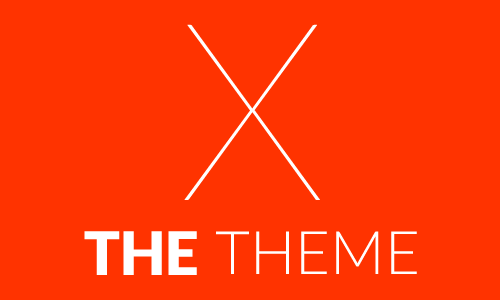 This highly customizable and responsive theme gives you tons of options to create the look you want. 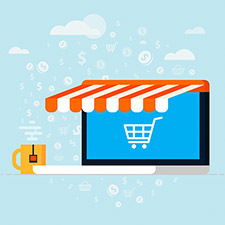 Xing is not wanting in anything – from shortcodes, to custom post formats, to custom widgets, to 8 portfolio layouts, to social sharing features and other features and functionalities to help you to create and customize your eCommerce site. Check out Xing today. Keep your eyes peeled for more WordPress holiday roundups in the next few weeks! Wow I really like all of these. IT is getting around that time again where we can cash in on the holidays. Even though it’s now December I’m sure I’ll find these great themes just as inspiring. I’ve seen the sold theme around and I just love it! I managed to use it with my own ecommerce software, and adapted it a little to suit my site. I’ll definitely be bookmarking this page however, for the next time I need some inspiration or Just a really nicely put together theme. Sarah.